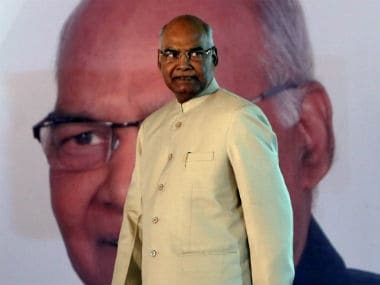 Nagpur: President Ram Nath Kovind on Friday paid tributes to BR Ambedkar in Nagpur at 'Deekshabhoomi', where the architect of the Indian Constitution had embraced Buddhism. This is Kovind's first visit to Maharashtra after assuming the office as president. Kovind arrived at the airport on Friday morning on a day-long visit and proceeded to the Deekshabhoomi. 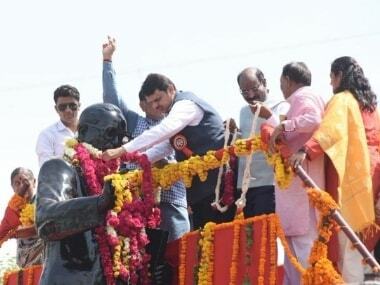 He was accompanied by Maharashtra Governor C Vidyasagar Rao, Chief Minister Devendra Fadnavis, and Union ministers Nitin Gadkari and Ramdas Athawale. 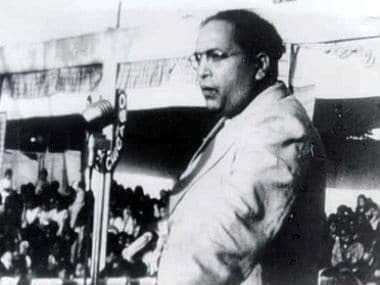 It was at the Deekshabhoomi that Ambedkar had led his followers to embrace Buddhism in 1956. Kovind is also scheduled to visit the Shantinath Jain Temple in Ramtek. Later, the president will inaugurate the International Meditation Centre at Dragon Palace in Kamptee and will also participate in Buddha Vandana programme. The president will also attend the inauguration programme of Suresh Bhatt auditorium at Reshimbagh in the evening.